Hand-painted angels will be included in Memory Boxes provided by the Birthing Center. The angels will be painted at a local pottery store, Potter’s Haven, by Kyleigh’s family and placed in the memory box along with photographs, hand and footprints, hand-knit hats and blankets, plus other keepsakes. Kari Jo Thomann Bear, Trustee of the Liberty Hospital Foundation and President of Thomann Financial Services, was recently honored for her contributions to the community, leadership, and ability to inspire. At their Gold Forum conference in February, AssetMark recognized Thomann Bear and five other financial advisors across the country with the Community Inspiration Award and bestowed $10,000 to the charitable organization of their choice. We are honored that Kari Jo has directed her gift toward the Kyleigh’s Gift fund, which she has supported in honor and memory of her father, John Thomann, as a lead sponsor and supporter the last several years. We congratulate her on this well-deserved recognition by an esteemed group of her peers! With the addition of Kari Jo’s gift, the Kyleigh’s Gift Fund has now reached $100,000 in funds raised! 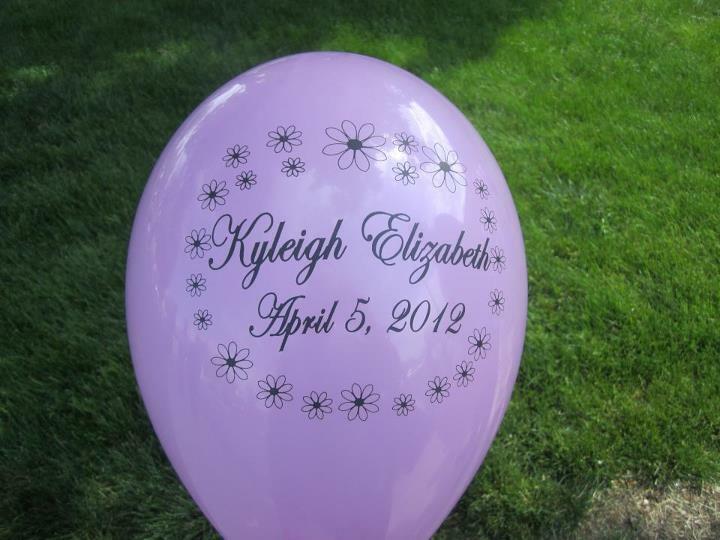 The first Kyleigh’s Gift Miscarriage Care Packages were distributed today. Social workers in the Emergency Department, OB, and Surgery Center will have these available for any woman facing pregnancy loss at Liberty Hospital. Thanks to many generous donations, 30 care packages were completed. We hope to complete 50 care packages by the end of the year. The Kyleigh’s Gift Sleep Sacks are now available for purchase in the Liberty Hospital Gift Shop! 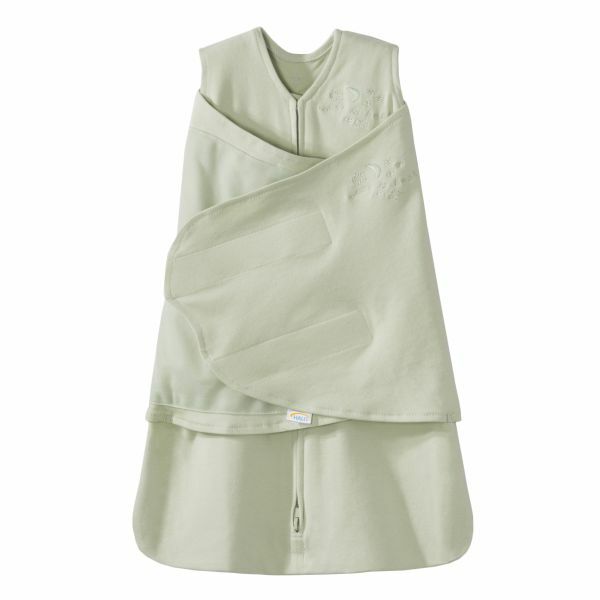 There are 100% cotton swaddles and wearable blankets sized for newborn – 6 months. Both replace loose blankets in the crib, are hip-healthy, and feature the Kyleigh’s Gift logo. 100% of proceeds benefit the Kyleigh’s Gift Fund to provide safe sleep resources to all families in The Birthing Center! The Kyleigh’s Gift Fund will be working with staff in the Liberty Hospital Birthing Center to provide necessities in the form of car seats, diapers and Pack N Plays for families in need. When a need is identified, the Birthing Center will contact Liberty Hospital Foundation to get the necessary funds to purchase items. Families who need a safe place for their babies to sleep will be gifted a Pack N Play. Car seats will be given to families who do not have one in order to be discharged from the hospital, as well as safe car seats for premature babies when the need arises. Diapers will be provided as needed, as well as through the HappyBottoms program, Bundles of Joy. 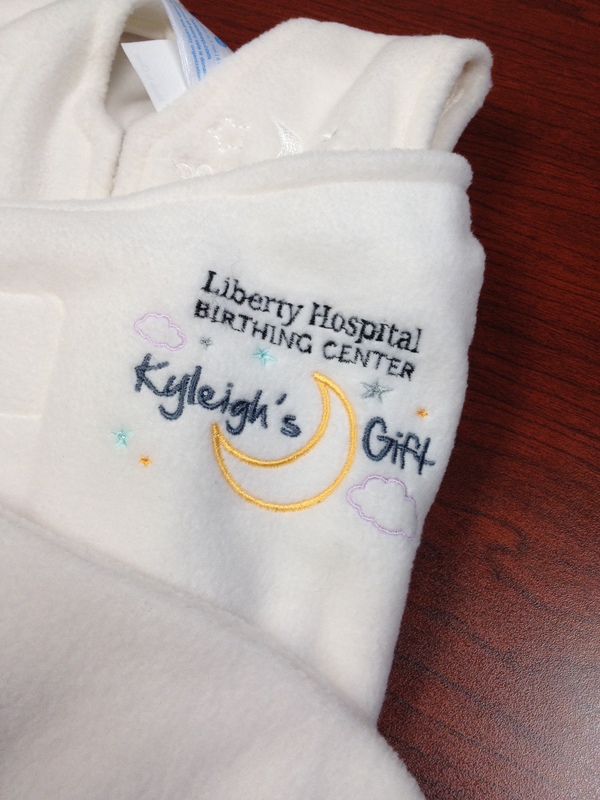 Beginning in March of 2014, just before Kyleigh’s 2nd Birthday, every baby born at Liberty Hospital Birthing Center will receive a Kyleigh’s Gift Sleep Sack Swaddle! This means that Kyleigh will touch the lives of approximately 1,200 families per year. Sleep Sacks are a powerful tool to help encourage safe sleep practices in babies and to help prevent infant deaths. This is the first initiative that Kyleigh’s Gift has had a part in since the creation of the fund. Thank you to everyone who has helped get this project started! See below for more details on how the Sleep Sack Program came to be. We are very excited to share with you the sample sleep sack that the hospital recently received from Halo! Everyone gave their approval, so now it is time to purchase the first batch of sleep sacks. The plan is to have them ready to hand out in January. Thank you to everyone who has donated money and supported us through thoughts and prayers to make this project happen! We are also very thankful for everyone at Liberty Hospital who has had a hand in the sleep sack project! This is only the beginning of this project, but it feels great to finally see the finished product! It’s time for another family sponsored Kyleigh’s Gift fundraiser! I say it’s family sponsored because I do not want to confuse people with the connection between us and The Liberty Hospital Foundation. Plans are in the works to organize a fundraiser through the LHF, but this fundraiser has been organized by us, Kyleigh’s family, with a portion of the proceeds going to The Liberty Hospital Foundation ~ Kyleigh’s Gift Fund. We are teaming up with Thirty-One again to create a square fundraiser. For $5, you can buy one square and have a chance at winning a Thirty-One gift card! Want more chances?? Buy more squares!! When you buy a square, you are helping to fund sleep sacks through the Liberty Hospital Foundation ~ Kyleigh’s Gift. Once all 100 squares are filled, Callie (Thirty-One Consultant), will hold a drawing for 1st place ($100 gift card), 2nd place ($60 gift card) and 3rd place ($40 gift card). At the conclusion of the fundraiser, $300 will be donated to The Liberty Hospital Foundation ~ Kyleigh’s Gift, funding over 40 sleep sacks! To participate, email us at info@kyleighsgift.com … include your first and last name, number of squares you wish to purchase and contact info (phone number or email). Thank you for your continued support of our goal of funding 1,200 sleep sacks per year for The Liberty Hospital Birthing Center! The Thirty-One fundraiser was a big success! We sold 13 bags and funded 22 sleep sacks with a donation of just over $150.00!! Thank you to everyone who purchased a large utility tote, as well, as those who made a cash donation! We met with the Foundation office a few weeks ago and got an update on the sleep sack project. Our goal is to start handing out sleep sacks to newborns in January 2014. It’s hard to believe that that is only four months away! We are continuing to work with a designer to find the right graphic to embroider on the outside of the sleep sack. Once we have a completed design, the sleep sack company, Halo, will send us an example and if we like it, then we will order the first batch! We continue to look for ways to fully fund this project. A donation of $7 purchases 1 sleep sack. Donate online here (make note in the comments box that your donation is for Kyleigh’s Gift). We appreciate all donations! Keep checking back for updates on the sleep sack project! We are teaming up with company Thirty-One to raise funds for Kyleigh’s Gift! For each Large Utility Tote sold from now until June 25th, $12.50 will be donated to The Liberty Hospital Foundation – Kyleigh’s Gift. That is enough to purchase one-and-a-half sleep sacks! See below for more information on the Kyleigh’s Gift sleep sack project. We met with The Liberty Hospital Foundation and the Birthing Center Director a few weeks ago and have begun taking steps to start our first project with the Kyleigh’s Gift Fund. The Birthing Center has been wanting to provide Halo Sleep Sacks to every baby born at Liberty Hospital. However, funds were not always available to purchase the 1,200 that they would need each year. We were approached by the LH Foundation and asked if we wanted to be a part of this project and use Kyleigh’s Gift as a way to fund the sleep sacks. Of course, we said yes! Right now, a team of designers are working on the logo that will be embroidered on each sleep sack. Why sleep sacks?, you may ask. Many hospitals are making the transition from blankets to sleep sacks to promote healthy sleeping habits for newborns/infants. Sleep sacks are designed to keep a baby warm, while also keeping them securely swaddled. If just one family uses a Kyleigh’s Gift sleep sack and it keeps their baby safe while sleeping, then supporting this cause is worth it. As was stated above, the hospital is wanting to purchase 1,200 sleep sacks. At $8 a piece, that is almost $10,000! Clearly, our next step is to raise the funds necessary to purchase the number of sleep sacks needed. We will do this in stages, with the hope that at some point, Kyleigh’s Gift will become self-funding and purchasing the sleep sacks from year to year will be very manageable. Watch this page for updates regarding the progress of the sleep sacks, as well as other projects that will be funded through Kyleigh’s Gift. In the meantime, if you would like to donate to Kyleigh’s Gift, please visit: The Liberty Hospital Foundation. When prompted, denote “Kyleigh’s Gift” in your online donation, or on the memo line of your personal check. Remember, $8 covers the cost of just 1 sleep sack! Thank you for your support!